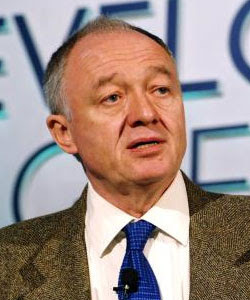 London mayoral hopeful Ken Livingstone has promised that if elected in 2012, he will appoint a LGBT advisory board and hold an annual Pride reception. He has also promised to re-enter the Greater London Authority into Stonewall's annual diversity index. Incumbent Conservative mayor Boris Johnson, who was elected in 2008, scrapped the LGBT advisory board, pulled the GLA out of the index and replaced the Pride reception with a series of community events. He said he wanted to "bring people together rather than focusing on what is different". He still led London Pride's march in July and declared his support for marriage equality. The LGBT advisory board was set up by Mr Livingstone, although gay group OutRage! claimed that he refused to appoint an LGBT advisor or to set up an LGBT advisory panel until the run up to the 2008 mayoral election. Mr Livingstone, who hopes to beat Oona King to become Labour's candidate in the race, attacked Mr Johnson today for "downgrading" work to tackle inequality. He said: “I am proud that London is one of the great LGBT capitals of the world. We need to continually work to promote equality and tackle discrimination. "Boris Johnson has downgraded important parts of work to tackle inequality, removed London government from the Stonewall equality index and abolished an annual Pride event at City Hall, whilst his friends in Whitehall are weakening the Equality Act which threatens the provision of equal services and employment for lesbian and gay Londoners. "Today I am setting out new proposals to make London the number-one LGBT city in the world and which are a clear alternative to the weakening of equalities measures we are already seeing from the government. Mr Livingstone, 65, was mayor of London between 2000 and 2008, until he lost to Mr Johnson. He has a good gay rights record, implementing the first civil partnerships register for gay couples in London in 2001. However, he was criticised in 2005 for inviting to London and embracing the homophobic Islamist cleric Dr Yusuf al-Qaradawi, who has called for gays and lesbians to be killed.